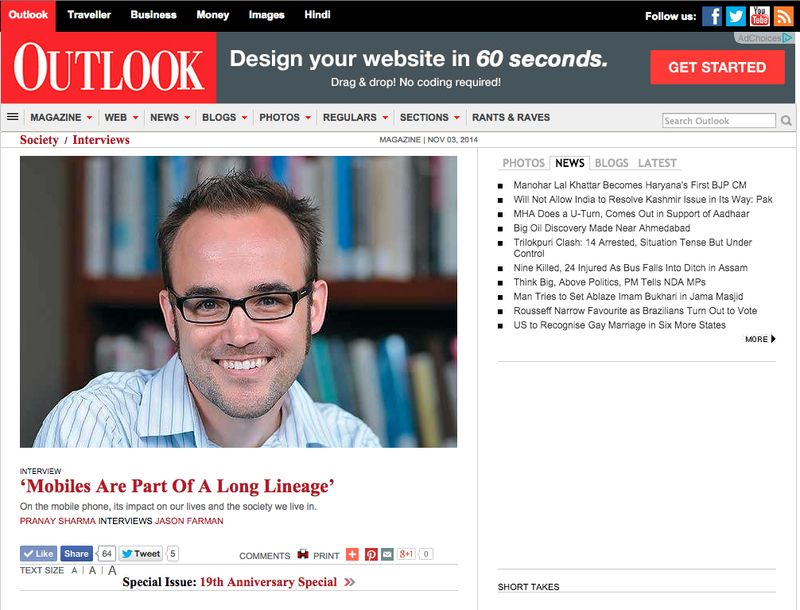 I’m interviewed in Outlook’s 19th anniversary issue. Outlook, one of India’s largest English-language magazines, was started the same year that mobile devices came to India. I talk with one of their editors about the global impact from mobile technologies, issues of access/equity, and the role of mobiles in social protests around the world.